EAST ROCKAWAY, Long Island (WABC) -- A Long Island man is under arrest after allegedly going on a crime spree in East Rockaway Saturday morning. 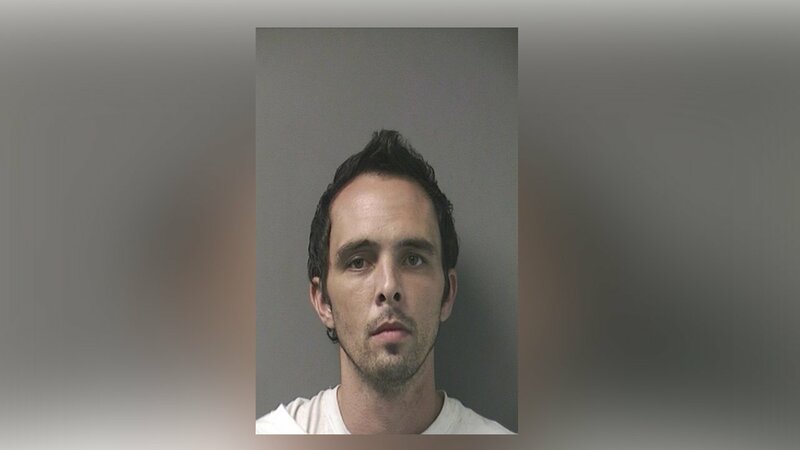 Nassau Count Police say 31-year-old Adam Tweedie of Centerport first used a cement block to break the front glass door of Chuck's Auto and entered the business shortly before 7 a.m., but fled with no proceeds. He then slipped through an opening in a fence at Pinnacle Contracting but also left without any proceeds, according to investigators. A short time later at 7:05 a.m. police say Tweedie entered a 2014 Nissan Altima that was left running in front of 380 Franklin Avenue and fled in the vehicle. While driving southbound on Ocean Avenue, East Rockaway he struck a utility pole and collided with a northbound Ford Fusion, then fled the scene on foot. At about 8:00 a.m. police say Tweedie then entered Minute Man Dry Cleaners at 89 Ocean Avenue and removed cash from the register before fleeing on foot. He was arrested a short time later in East Rockaway. No one was injured. Tweedie is charged with burglary, grand larceny, possession of stolen property, criminal trespass and leaving the scene of an accident.